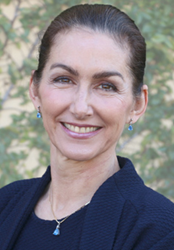 Heather Furnas, MD, founder of northern California’s Plastic Surgery Associates, is excited to share her newly published article, “Gender Inequality for Women in Plastic Surgery: A Systematic Scoping Review.” Sorting through decades of research, Dr. Furnas and a team of authors have been able to highlight the disparities between men and women working in the field of plastic surgery. Dr. Furnas’ article was part of the June 2018 issue of Plastic and Reconstructive Surgery: The Journal of the American Society of Plastic Surgeons. Experiencing the recent shift of attention toward the underrepresentation of women in the field of plastic surgery, Dr. Furnas, along with several other experts in the field, set out to present an account of related issue in a series for Plastic and Reconstructive Surgery. The milieu of contributing authors included Alexandra Bucknor MBBS, MRCS, M.Sc; Parisa Kamsli MD; Nicole Phillips MD; Irene Mathijssen MD, PhD; Hinne Rakhorst MD, PhD and Samuel Lin, MD, MBA. Dr. Furnas and team made the determination that a comprehensive review of literature is warranted as the information on this topic is disproportionately lacking. Dr. Furnas’ scoping review is the first comprehensive assessment of the literature available on issues of women in plastic surgery. Results of this assessment shows that academic plastic surgeons are less frequently female, and that women often score less favorably when outcomes of academic success are evaluated. While overt discrimination is shied away from, the implicit bias is easily seen. With the results from her scoping review, Dr. Furnas provides a series of tactics to increase diversity and retain women in the field of plastic surgery. Her suggestions include developing mentoring programs, assigning one person to the increase of diversity, carefully reading and writing references letters with thought to content, engaging equally with both men and women, avoiding gender-loaded terms, diversity on committees, basing promotions on the quality of research never quantity and welcoming plastic surgeon mothers. Dr. Furnas also points to areas warranting further research, the need for a large-scale analysis of gender bias and discrimination, the development of centralized pathways for workforce data collection, and a focused assessment of women as leaders in plastic surgery.